The Hyundai Sonata has been on a roll lately, but following today’s recall, it looks like it might be the wrong kind of roll. (Yay for puns.) According to The Detroit News, Hyundai is recalling nearly 890,000 Sonata models due to two separate issues, though one issue affects models from 2011 – 2014 and the other affects just the newly released 2015 model. The 2015 Sonata is part of a massive Hyundai Sonata recall that claims nearly 890,000 cars. The first Hyundai Sonata recall affects approximately 883,000 vehicles. Reportedly, the shift cable can become disconnected, which means that the car can magically switch out of park and go for a little ride, unattended. Hyundai reports that it has received 1,171 warranty claims related to this issue. Once officially alerted of the recall, customers will need to schedule an appointment with their local dealers and take their Sonatas in to be inspected and, if necessary, repaired. 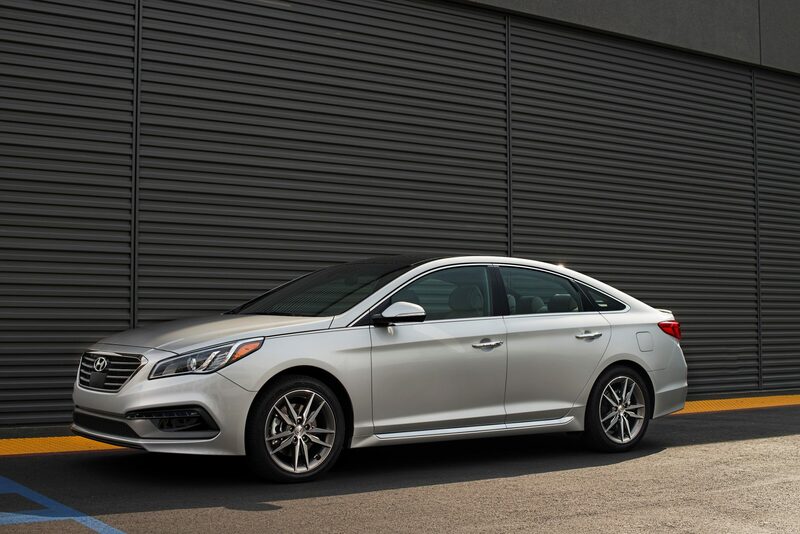 The second Hyundai Sonata recall, while much smaller, is a huge blow to the success that the 2015 Sonata has been experiencing. Some 5,650 new models may have cracked front brake calipers. This has led to a stop sale of all 2015 Sonata; Hyundai reached out to affected customers last month and told them to stop driving their new cars, although no crashes have been reported.